Whether it was the days leading up to the first round of the Stanley Cup playoffs or now, one step away from playing for hockey’s most coveted team trophy, Dominic Moore has always kept his eyes on the silver prize. 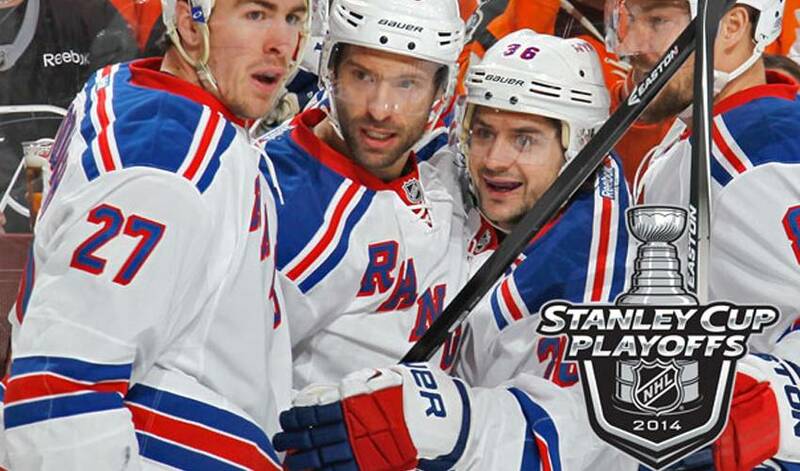 It’s what Moore and the Rangers used to good effect in their East semifinal matchup against the Pittsburgh Penguins. Down three games to one, and on the ropes, the Blueshirts fought back to even the series and then capped the comeback with a 2-1, Game 7 victory in Pittsburgh. “You look at it and it’s daunting in what you need to do,” said Moore, who assisted on Brian Boyle’s opening goal in the deciding game. “There is no margin for error. We simply looked at things from the view of the first shift of the next game, to do what we needed to do from the outset. Which is precisely what the multi-talented Moore, who has three points and is a +3 in the Eastern Conference Final series, has offered to the Rangers, a team looking to win their first Cup since 1994. Combining excellent hockey sense, speed, and a solid two-way game, the 33-year-old’s versatility has been integral in getting New York to this point, his contributions often noted by his teammates and those covering the sport. Moore, however, is quick to pay it forward. Moore also pointed to Martin St. Louis, who dealt with the sudden death of his mother during the series. The East final represents a homecoming of sorts for Moore, who played 21 regular season games for the Canadiens in the 2009-10. He also appeared in 19 playoff games with the Habs, helping the team reach the 2010 Eastern Conference Final. During his playoff-run with the Canadiens, he was often tasked with shadowing the top players in the games, including Washington’s Alex Ovechkin and Pittsburgh’s Sidney Crosby, assignments Moore handled with great success. And you never lose sight of the ultimate reward.